Manama: When last year Princess Reema Bint Bander was appointed in August to head the new department for women under the General Authority for Sports and its efforts to encourage women to get actively involved in sports, many in the country saw this as an opportunity to act. Thats why Maali Al Abdely, the head of Jeddah United, a sports company founded in 2006 in the slightly more liberal Red Sea city, decided it was time to promote sports among women. But the task proved to be more challenging than she expected. “There are many obstacles: Schools are not equipped with stadia and halls and we do not have enough sports staff since there are no women university graduates in physical education. More ominously, a large section of the society flatly refuses the concept of sports and physical exercises for women. They lack awareness about the significance of sports and exercises for women,” Maali said. 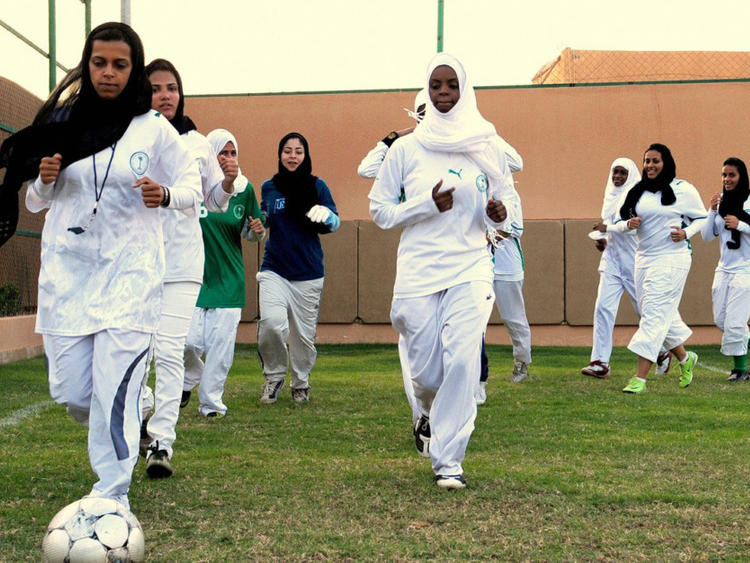 Investment in sports will help Saudi women better use their energy, time and efforts while keeping themselves busy and fighting idleness, she added. Sports critic Madani Rahimi said there were new steps to reinforce the status of sports for women in the country, but many clubs are not openly promoting it. “There are now clubs for women and several kinds of sports are being exercised there, but it is usually in a timid way,” he said. “We really deplore the absence in our society of a culture that promotes sports as a crucially stabilising factor in women’s lives. Many families see sports as a luxury that they do not need, while several other families consider it as an alien phenomenon that can lead only to trouble. We do need to change the way families look at sports for women and help them appreciate its role in building characters and giving bodies the strength they need,” said Rotana, a college student. Noof Al Ghamdi, another Saudi woman, said that there were formidable difficulties in having physical education in all the schools for girls. For basketball player and coach Reem Hamza, women are still suffering from discrimination in sports. Such plans, no matter how carefully they are drawn, will have to overcome the stiff opposition of people those who are categorically opposed for women taking up sports. “The West is adamant to erode the values of the Saudi society and promoting sports for women is one of the steps it is taking to achieve its aim and undermine the religious dimension of Saudi women,” Dr Mohammad Al Saeedi, the head of intellectual awareness at a university in Riyadh, told Saudi news site Sabq. Speaking in Rio de Janeiro where she was providing full support to the four Saudi women competing in the 2016 Olympic Games, Princess Reema, 41, showed a deep understanding of her society and highlighted the need to create opportunities not clashes in the cautious drive to overcome hurdles and obstacles. “I understand that from an international point of view they might not think we are moving fast enough. But one thing they need to absolutely understand in the Middle East is that it is an elastic community. If we pull too fast, you break that elastic,” she said.